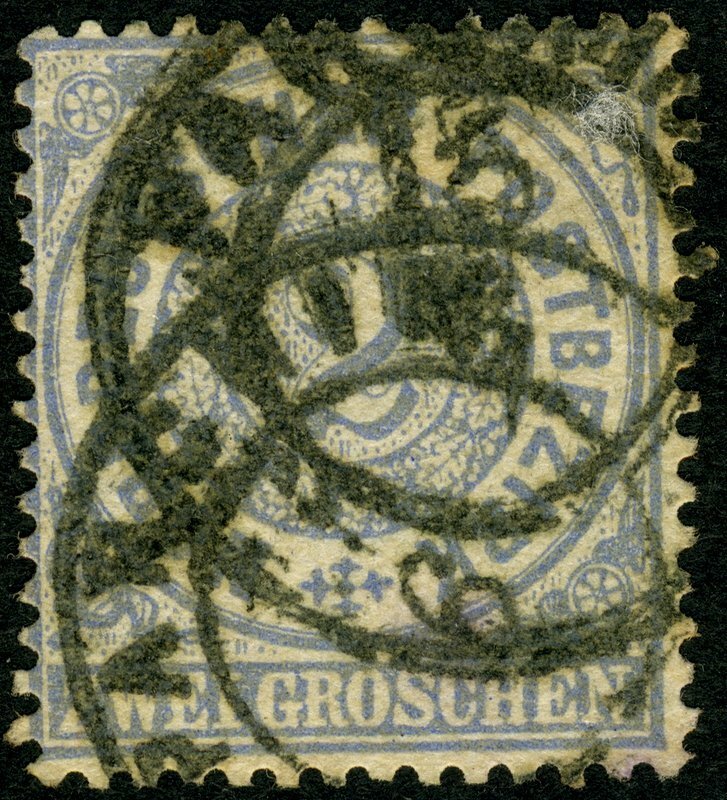 North German Postal District 1869, Michel-no. 17, 2 Gr. Bright gray blue, used. Tied by Mecklenburg-Strelitz stamp two ring cancel PARCHIM 5 / 6.